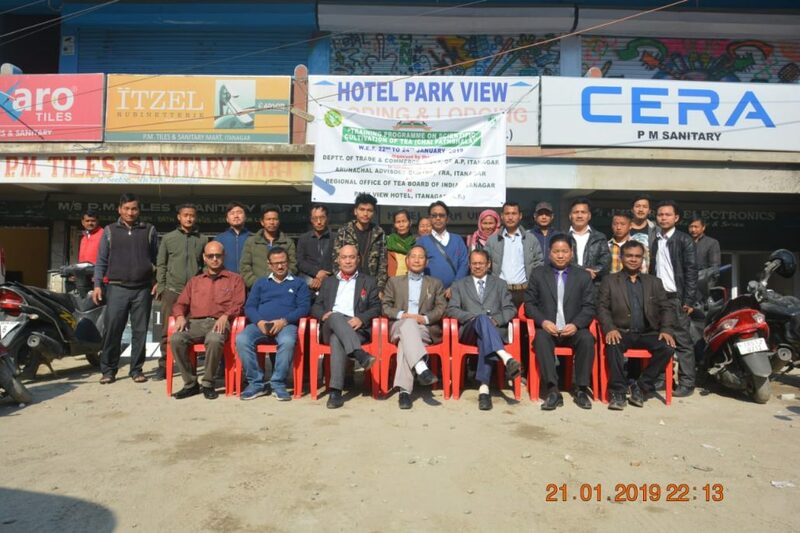 A three-day residential training programme on scientific cultivation of tea (Chaipaathsala) jointly conducted by the Department of Trade & Commerce in collaboration with Arunachal Advisory Centre, Tea Research Association (TRA), Itanagar and the Regional Office of Tea Board of India, Itanagar is currently underway which was being inaugurated by Onit Panyang, IAS, Secretary, Trade & Commerce at Park View Hotel, Itanagar. About 30 small tea growers from all tea growing districts of the state are attending the programme. Panyang while exhorting the tea farmers to take full advantage of the training urged them to learn as much as possible from the tea exports and scientist from TRA and Tea Board of India. He also expressed gratitude to the advisory officers coming from Tea Research Association for extending technical consultancy services for promotion of tea industry in the State. While, S K Baruah, Senior Advisory Officer and Senior Principal Scientist, North Bank Advisory Centre, TRA in his address informed that Tea Research Association (TRA) Tocklai which was established in 1911 has been rendering consultancy services for promotion of scientific cultivation of tea in the north-eastern region. He also informed that the TRA has been extending all possible help to the small tea growers of the state. While, Tokong Pertin, Director, Trade & Commerce also informed that tea brand from Arunachal Pradesh has been very popular all over India and fetched good prices at Tea Auction Centre, that is possible only because of scientific way of cultivation of tea being imparted by the experts of TRA. He further informed that the Department of Trade & Commerce has been rendering training programme on scientific cultivation of tea under ‘Chaipaathsala’ and congratulated and welcome all the tea farmers in the Chaipaathsala family. Meanwhile, Sonyung Modi, deputy director, Trade & Commerce (Nodal Officer) welcomed the gathering and Biswajyoti Bordoloi, junior advisory officer, Arunachal Advisory Centre, Itanagar gave vote of thanks.